We love the freedom Linux offers but we understand that clients need the peace of mind that comes from knowing they have a strong team supporting them. Very early in our history we took the decision to certify our skills, as a result, we’ve acquired Linux+, LPI and RedHat certifications.  We provide support for planning, deployment and management of Linux server systems. And through our training associates/partners, we’ve provided trainers for the past 10 years who have trained Linux engineers working in Jamaica’s top companies.